Sybex books are available in printed, PDF, and ePub formats. Click on the books below to get more information, to see available formats, and to purchase. 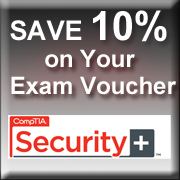 Get Started on Your Security+ Exam Prep Now.